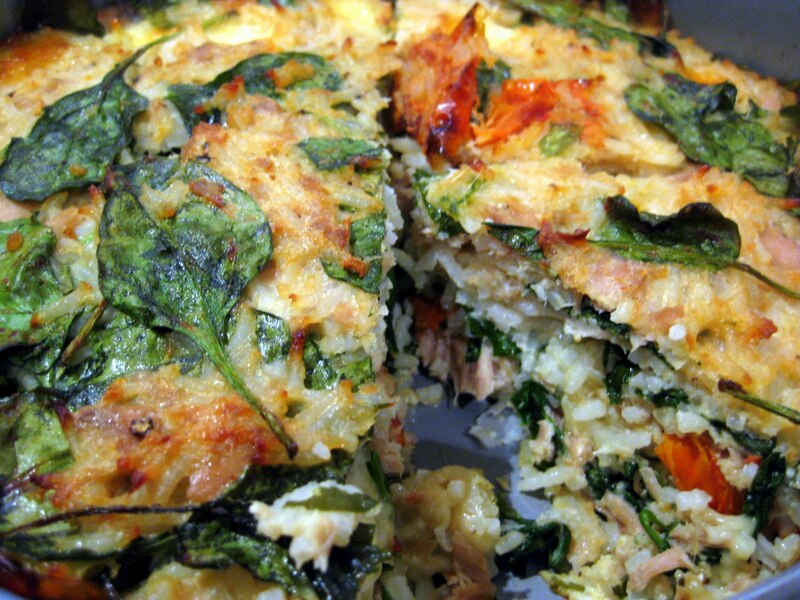 Tuna and Rice Pie | sweet ravioli! A little sweet, a little savoury . . . I have made this dish so many times I have lost count. Hubby loves it, which is the main reason for making it so often, and anything which includes rice is a winner for me. The recipe calls for 6cm deep, 20cm round springform pan, of which I do not have. But not to worry. If like me you have a smaller springform pan, then you will have ample leftovers to fill a ramekin or two. I think this pie would also work just as well in a slice pan – it will become much more portable and a great picnic food. Next time I make it, I’m going to swap the bocconcini for mozzarella, and on hubby’s advice, add a bit of chilli. Let me know if you try this variation! Heat oil in a medium sized saucepan over medium heat and cook onion and garlic until soft and translucent, about 7-8 minutes. Increase heat to high and add rice. Cook, stirring, for 1 minute. Stir in stock and bring to a simmer. Reduce heat to low, cover and cook for 10 minutes. Remove from heat. Stand, covered, for 10 minutes. Transfer to a large bowl and set aside for 10 minutes to cool. Preheat oven to 190 degrees. Grease base and sides of a 6cm deep, 20cm base springform pan. 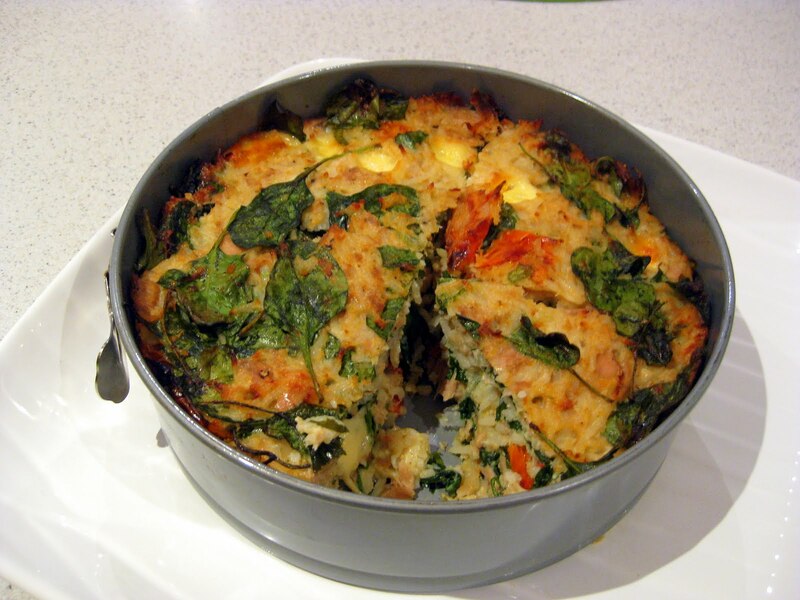 Add tuna, tomato, bocconcini, parmesan, spinach and egg to cooled rice. Season with salt and pepper (very important – it will taste bland if you under-season) and mix well until combined. Press rice mixture into prepared pan. Bake for 40-50 minutes or until set and crisp around the edges. Let stand for 10 minutes before serving. Delicious served hot or cold! That looks really delicious and it has all the elements of a perfect meal in one serving. Oh wow, it looks absolutely delicious!I need to try this soon.I hope you won't mind, but I'd love to guide Foodista readers to this post.Just add the foodista widget to the end of this post and it's all set, Thanks!